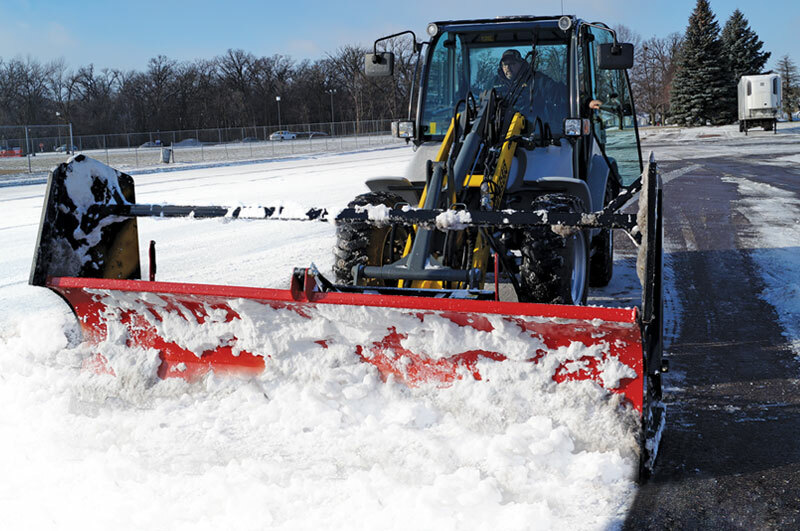 The Ultimate Tool for Snow Removal! 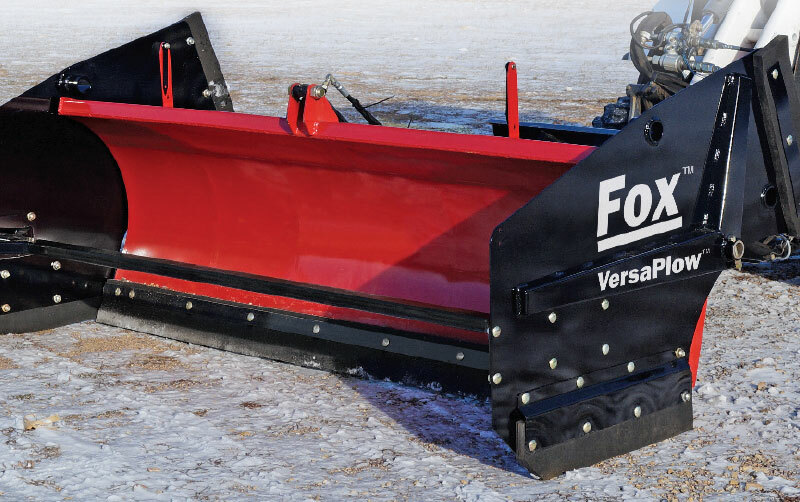 Introducing the New Fox VersaPlow snow removal system! 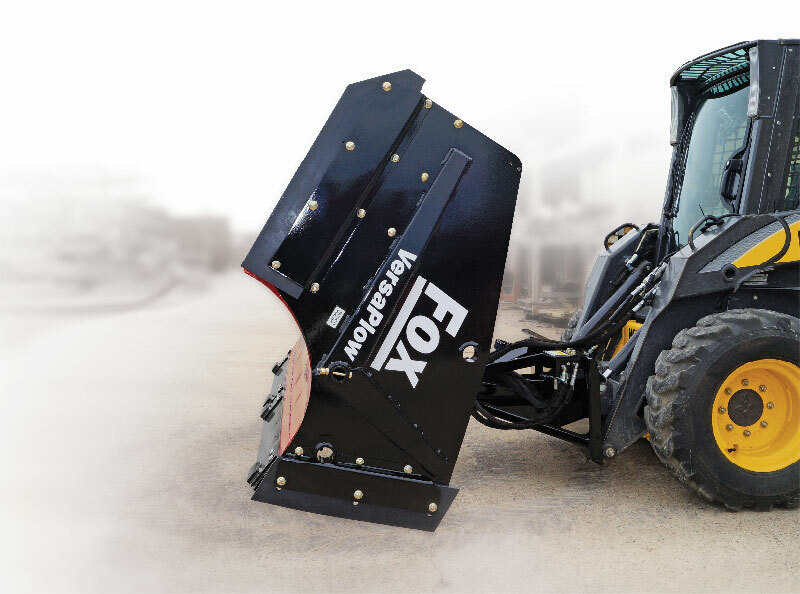 This revolutionary new design from Fox provides the ultimate in efficiency, combining the functions of a box-style containment pusher, a backdrag containment box, and a conventional snowplow into one rugged piece of equipment. 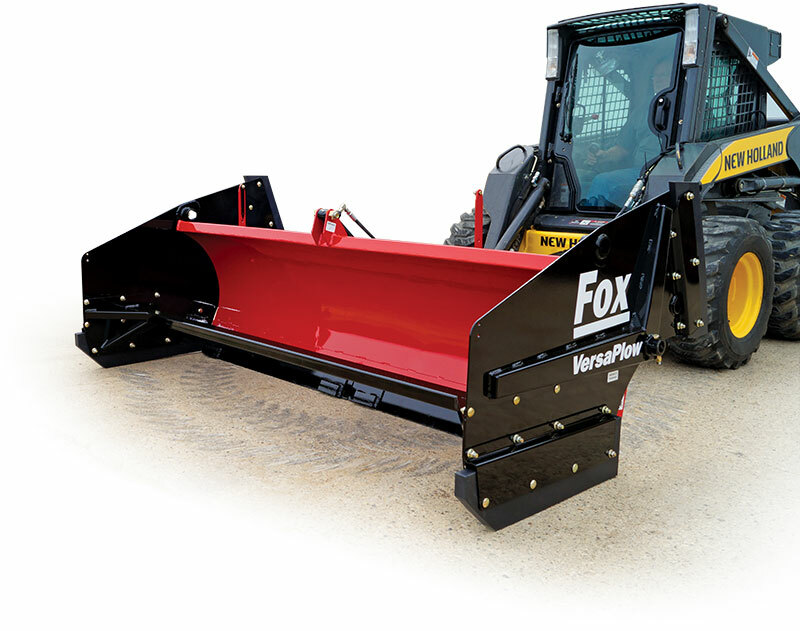 Hydraulically roll the end panels into any position from the cab. All three functions are always at your fingertips. 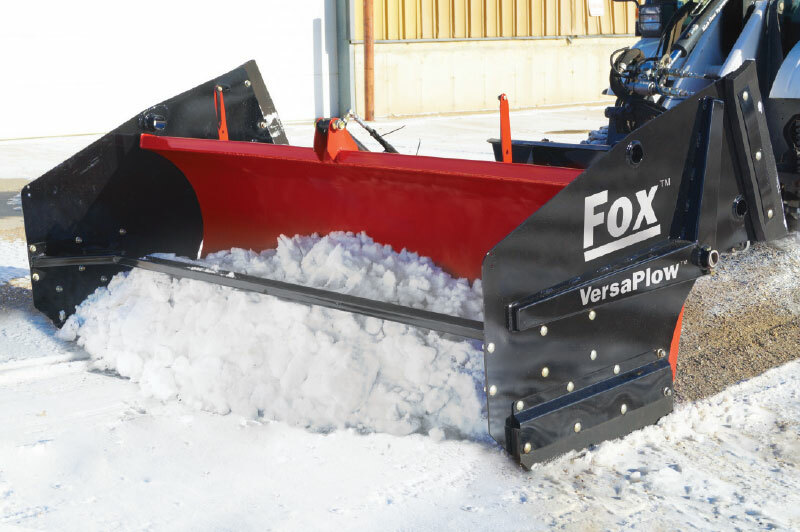 With side panels in the forward positions the VersaPlow is a high-capacity snow pusher. 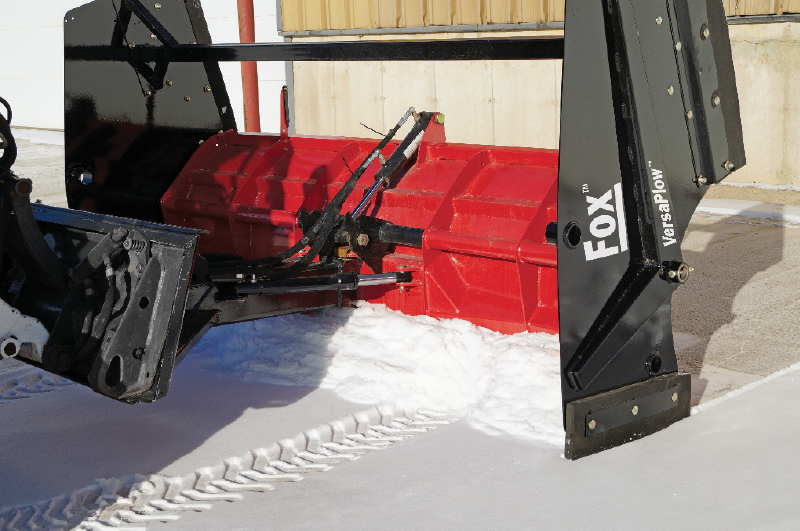 Roll the side panels rearward to form a super-efficient backdrag box plow. 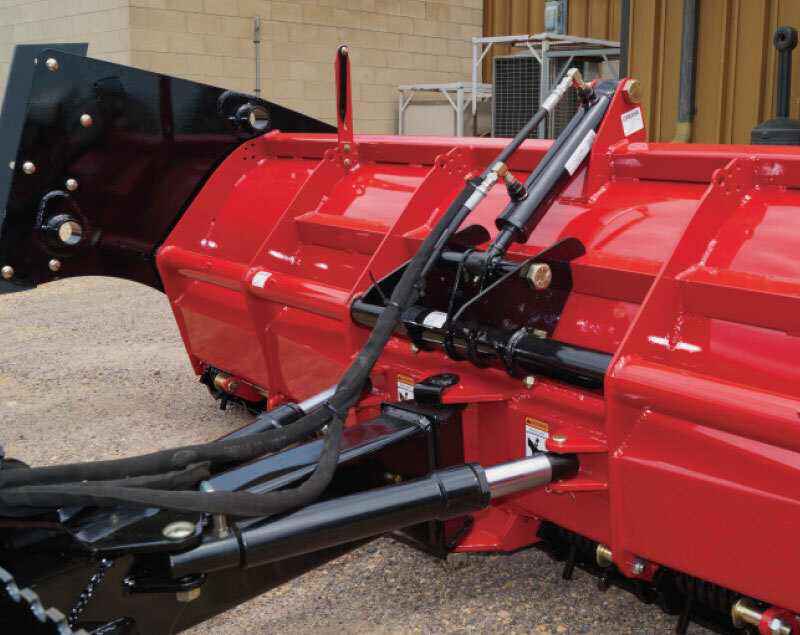 The VersaPlow also features full hydraulic angling capabilities for conventional windrow plowing. 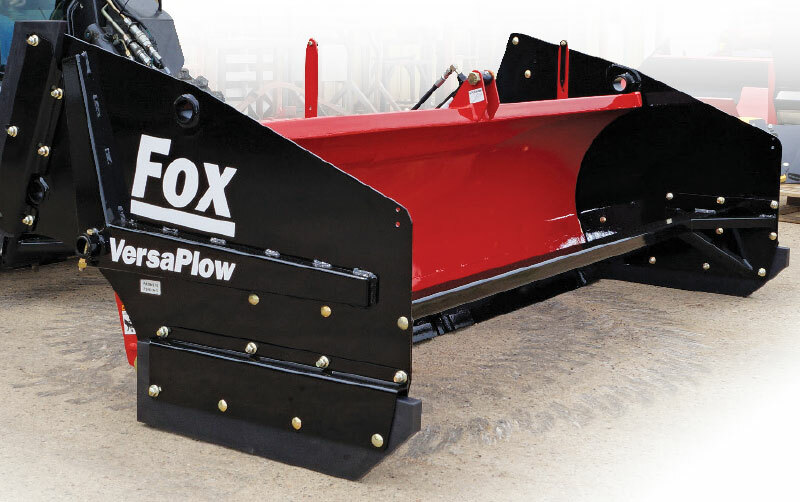 change the configuration of VersaPlow in seconds. 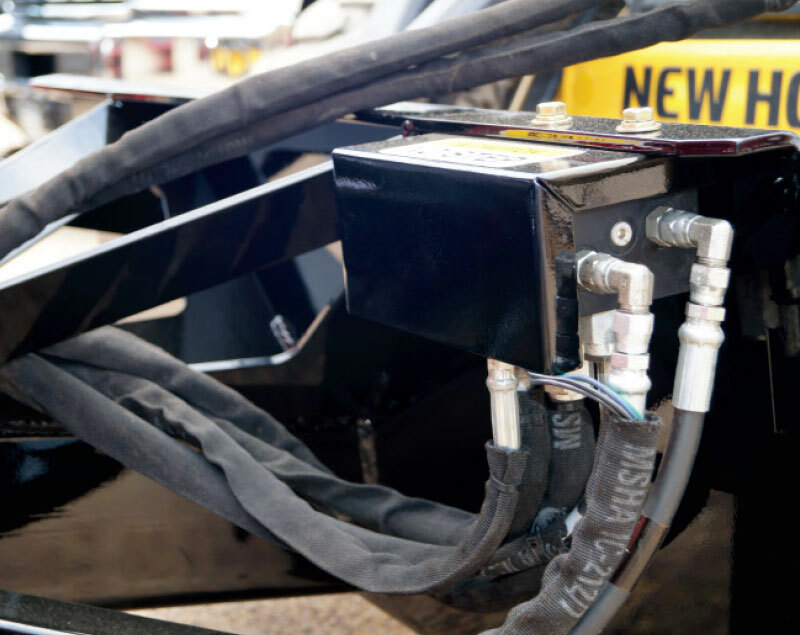 No need to mount or re-mount equipment. 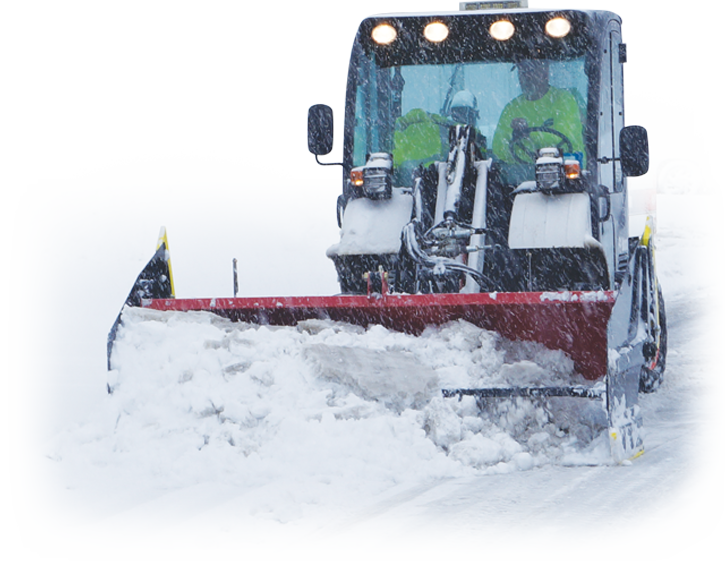 No need to leave your cab! 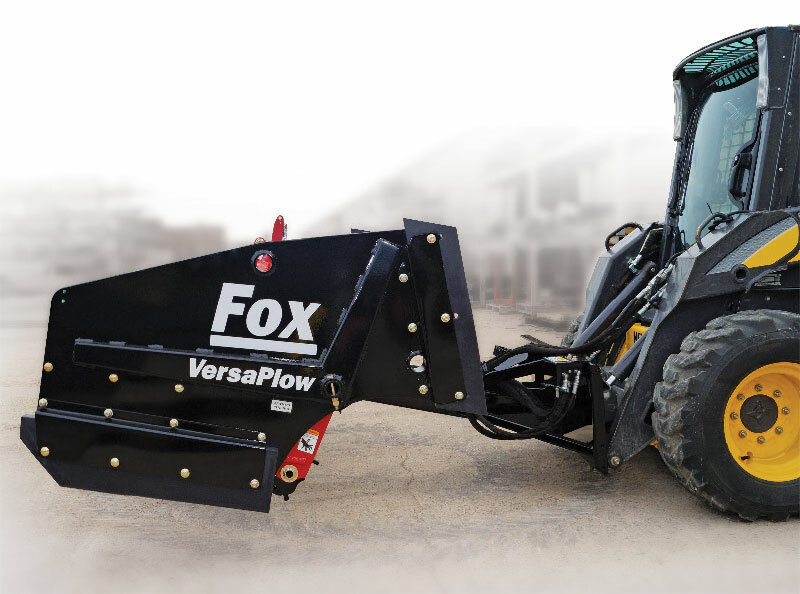 Fox VersaPlow is available in 8-foot and 10-foot blade widths with a choice of steel trip-edge or urethane resilient-edge configurations. 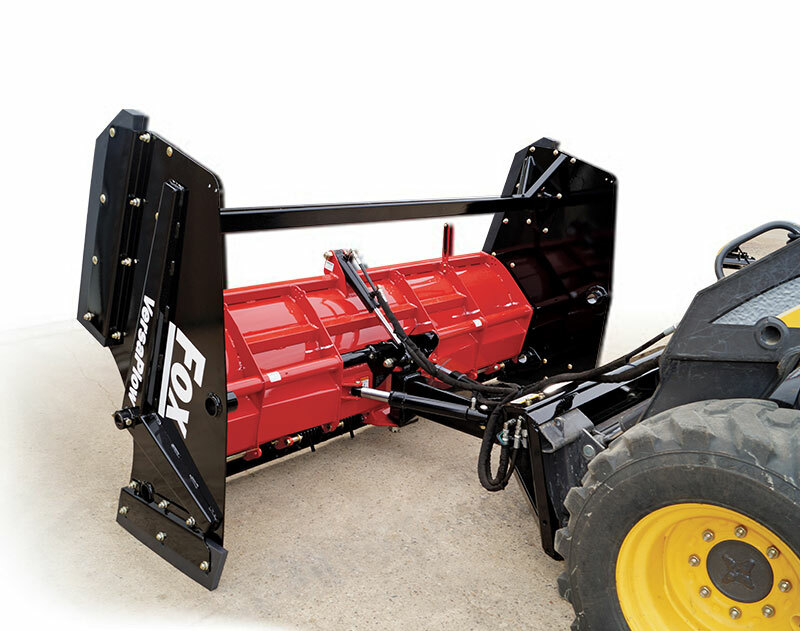 Requires a single pair of hydraulic outlets. An electrical diverter valve controls flow to either the angle or end panel rotation cylinders. 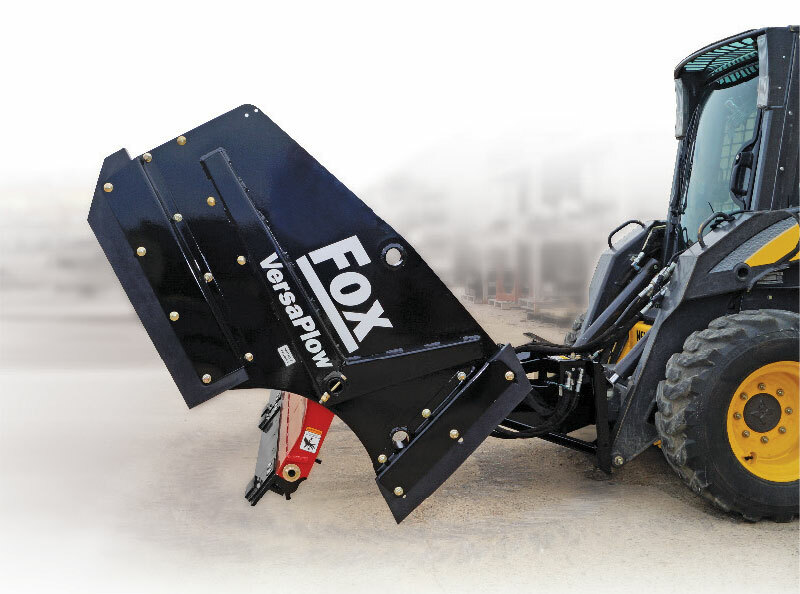 Available with a 14 pin connector (to fit most skid steers and compact loaders) or a 7-pin CANbus adapter (for late model Bobcat® machines) or a universal single-button diverter control and harness. 1118 lb. 1249 lb. 1222 lb. 1386 lb. 1243 lb. 1374 lb. 1347 lb. 1511 lb. 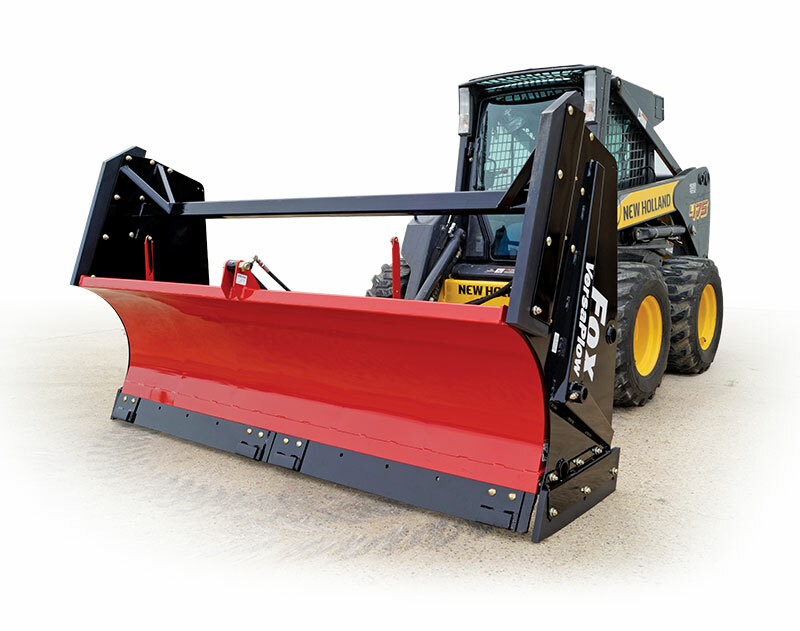 *Allows up to 11 inches of blade movement.